Amazing transformation!! My skin has never looked or felt better. I have suffered from acne all through my teenage years into adulthood with no real fix until I started my series of treatments with Vendrix. I have had 4 out the 5 treatment package I opted for so far, and get so many compliments on how great my skin looks now! Whatever dark spots I had are fading rapidly too. So satisfied and happy, I am a V’nashanil client for life. 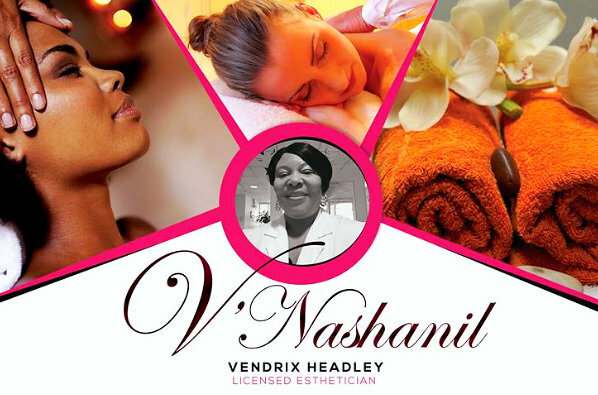 V’nashanil’s Skin Solution offers a clean and relaxing environment with an exceptionally knowledgeable and skilled aesthetician. Stellar service. Vendrix is outstanding. My skin never looked or felt so wonderful. My experience with Vnashanil Skin Solution was very impressive. I had bad acne & after the first experience my face was transformed, see it for yourself! The service is amazing. She took her time and it made for a very relaxing experience. 10 stars! I was very satisfied with the facial and back massage that I received. Vendrix is a professional, though and though. She made me feel so relaxed and so comfortable that I fell asleep during the back massage. l recall feeling so refreshed at the end. My face felt so smooth and soft, after the facial. I was given an assesment of my skin type, including what I needed to do to continue to improve and revitalize my skin. I highly recommend Vendrix. She’s naturally gifted in her field as an esthetician and massage therapist. What are you waiting for? Let’s go! I had received a deep cleansing miraculous facial, from my good friend Vendrix. Every question i had, she would answer with grace and knowledge. 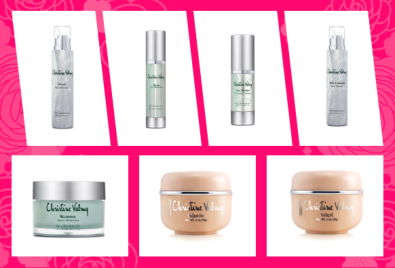 She is a well-rounded esthetician, 10 stars every time! I had such a positive experience. I received a back treatment and a facial. I learned about my skin and left glowing. Go and see for yourself. You won’t regret it.